Since the discovery of the Isthmus of Panama we have always been a meeting point of civilizations at the service of the world and global trade. Today we are the most stable and growing economy in Latin America. We are the Hub of the Americas, which facilitates communication and connectivity of the continent with the rest of the world. Panama is the regional headquarters to more than 100 multinationals and we are a country where the law and legal security reign, with an economy open to foreign investment and a government committed to transparency, accountability, the separation of powers and the strengthening of democratic institutions. 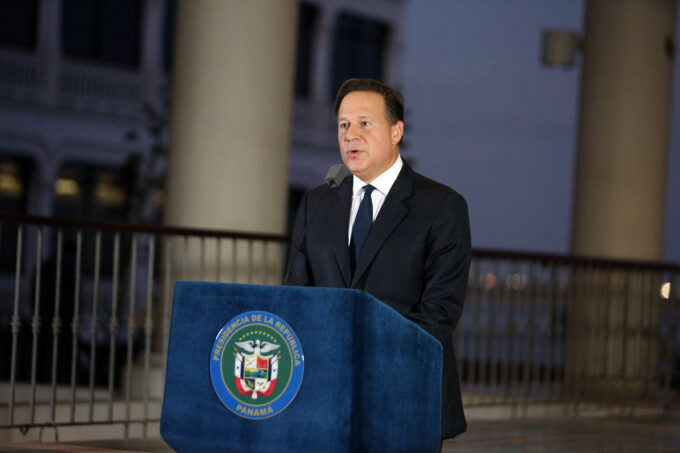 The massive leak of coprporate documents from a Panamanian law firm with operations in different jurisdictions has resulted in a controversy that reflects a global problem. Panama wants to make it very clear that this situation, which has been misnamed “Panama Papers,” is not a problem in our country, but in many countries of the world, whose legal and financial structures are still vulnerable to be used for purposes which they do not represent the common good of the citizens. In 21 months of our administration the Republic of Panama has taken decisive steps in favor of transparency and the strengthening of our financial system and services platform, which have allowed us to leave the Financial Action Force (FATF) Gray List this year (2016) and move to Phase 2 of the Global Forum joint review, by which the international community has validated our legal framework as compliant with international standards. In addition, as of January 2016 we met the need to provide certainty in the identification of the owners of the shares of companies as a sign of our commitment to transparency. We recognize that we need to move forward on the government agenda of that we have set to protect our institutions, but we are not going to allow this media situation define us as a country. Serious and responsible governments do not negotiate the adoption of international obligations through the media, but through diplomacy — serious, responsible and constructive dialogue. I have asked Foreign Minister Isabel de Saint Malo to go to Global Forum member countries and reiterate to the Organization for Cooperation and Economic Development (OECD) our willingness to talk respectfully and to reach agreements that will contribute to the economic development of our countries. And as it says on its own slogan, our country and our government are also committed to building a stronger, cleaner and more just world. The government of Panama, through our Ministry of Foreign Relations, will create an independent committee of national and international experts of well-known experience to evaluate our current practices and propose the adoption of measures to share with other countries around the world, to strengthen the transparency of the financial and legal systems. We will work not only internally in our country but also we will lead an effort for the benefit of the rest of the world. I would like to make it clear that Panama will continue to cooperate with other jurisdictions as we have been doing, both in judicial matters to prosecute crimes that are specified under our Penal Code as well as in the exchange of information to comply with international treaties ratified by Panama. We reaffirm our commitment as a serious country, respectful of international law, cooperating with the efforts of the international community in finding solutions to this global problem. We call upon all countries to use diplomatic channels and mutual respect at this time. Previous articleOliva Corado, ¿Quién quiere ser humano?